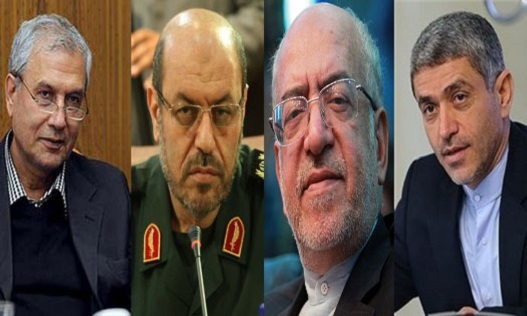 Four ministers in the Rohani administration have written a joint letter warning President Rohani of a severe economic crisis. The Mehr News Agency reported on Sunday September 4 that the ministers of the economy, industry, labour and defence have delivered a joint letter to the Iranian president criticizing the “inconsistent policies of government bodies”. The ministers warn that without immediate action, the “recession will transform into a serious economic crisis”. The letter refers to the “serious and unprecedented” 42-percent fall in the country’s capital market. According to statistics, the market value of petrochemical and chemical products has fallen by 35 percent while basic metals, including steel, copper, aluminum and oil products, have seen declines of about 14 percent. The minister stated that the chief causes for the decline in the capital market are: the decline in world prices for basic commodities and oil, increases in the price of the dollar relative to the rial, banks showing declining dividends during the past year and the fall in demand for products leading to a larger inventory accumulation. The letter was reportedly written to President Rohani in September and remains unanswered.